Mount-It! 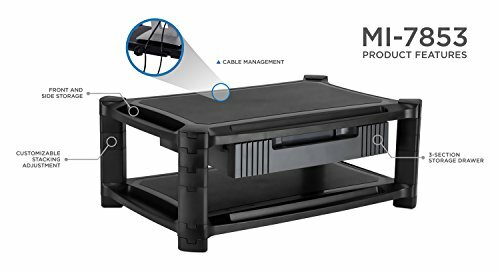 MI-7851 smart stand can be used as a monitor stand or a printer stand. Its large platform of 19 by 13 inches is wide enough for most office printers and computer monitors. The columns have stacking pieces that allows you to customize the height of the stand. 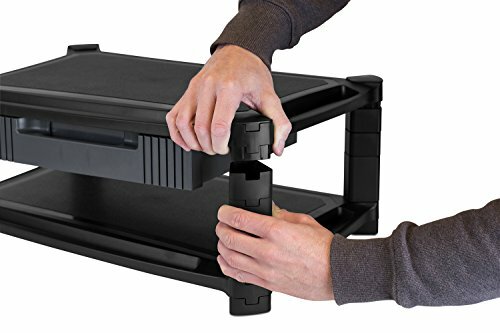 You can place all the pieces in the column to a maximum height of 6.6" to store your laptop, keyboard, printer paper or other supplies, or remove the various height parts to lower it to your installation needs. Monitor risers help elevate the monitors to bring them to a more ergonomic height, to help prevent neck and back pain that is caused by poor posture. 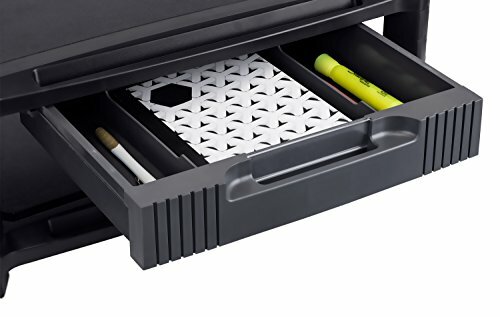 The grooves on the front and sides helps store small size office supplies, such as pens and paper clips. The front slot is also ideal to hold your phone or tablet. 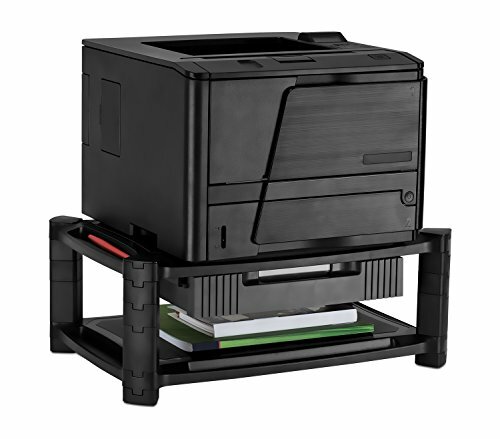 Cable management in the back organizes the cables to your printer or monitor. 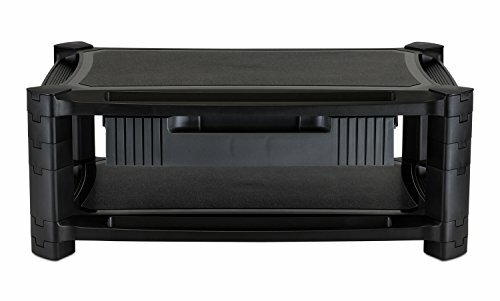 Non-skid EVA foam feet protect your desktop surface and securely hold your stand and equipment in place.